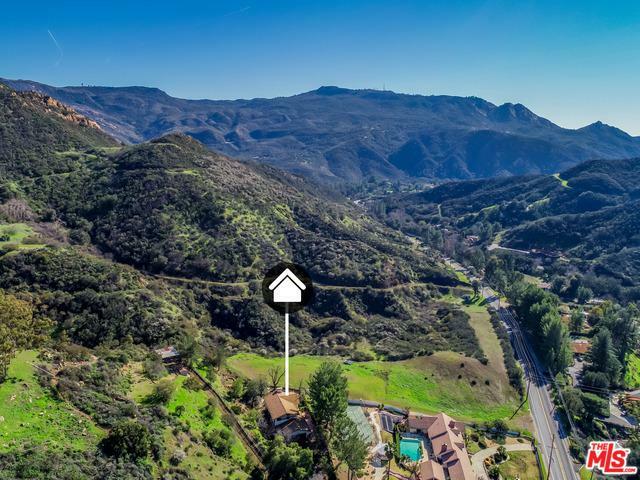 Long tree lined driveway and motor court leads to a privately gated custom contemporary Spanish/Ranch home located on 2.7 acres in the Mulholland corridor. 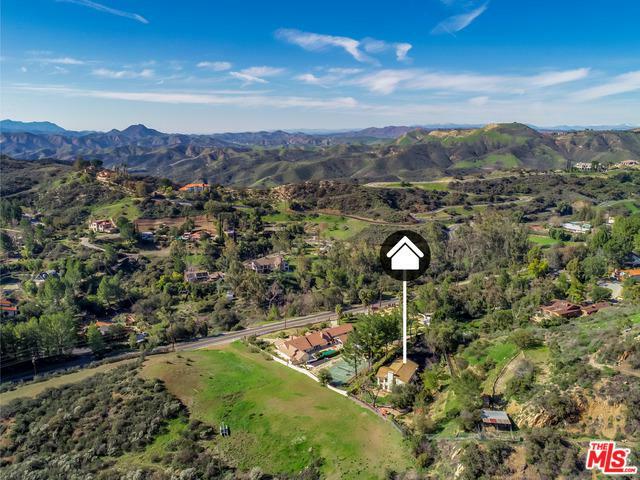 This 3bd/3ba home boasts tremendous light w/270-degree views throughout the property boasting park-like grounds w/fruit trees & mature landscaping. 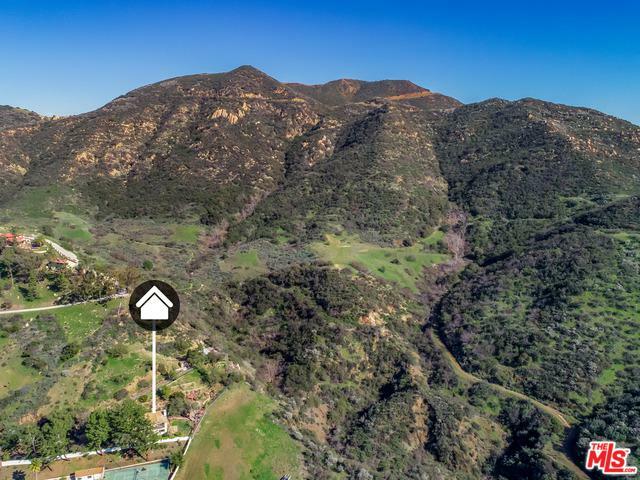 Private trail connects to Calabasas Motorway & 500+ miles of Santa Monica Mountains' best trails w/spectacular sunsets 360-days a year. Recently updated, it has a gourmet kitchen w/large center island & built-in stainless-steel appliances, 6-burner gas stove, microwave & convection oven. Living room has a built-in theatre center & custom lighting throughout. Master bedroom has vaulted ceilings and large walk-in closet leading to sizable bath w/sep. tub/shower and dual vanities. Two more bedrooms upstairs w/an enormous, shared balcony. Outside is a built-in gas BBQ/range, great hardscaping, mult. 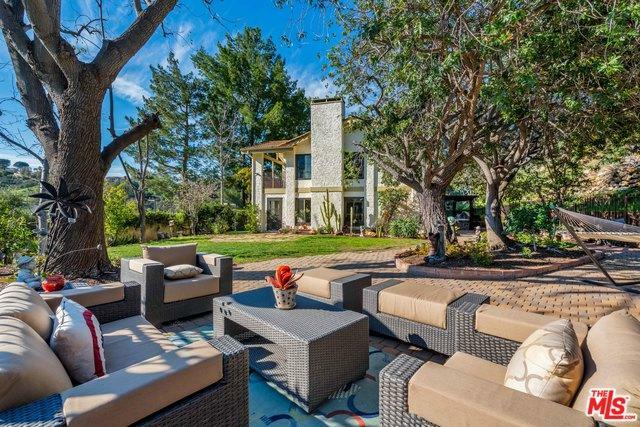 private, seating areas, serenity waterfall, 2 horse stalls w/room for more, 2 out-building.